The team that brought you Elevenses, returns with Matcha releasing in August! Pre-orders will be open until July 12th and all orders will be filled shortly before games arrive in retail stores. 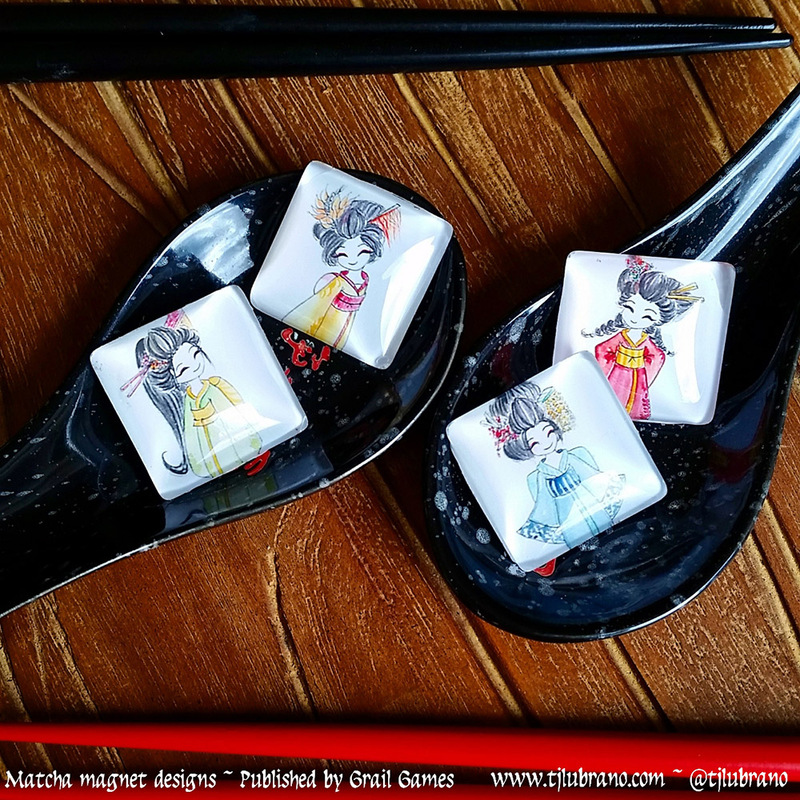 Not only those who order get their games slightly early, they have the chance to order Matcha and original artwork or prints of the illustrations used in the game, or a set of cute geisha magnets! Everyone who pre-orders a copy of the game will go into the draw to win a signed original geisha watercolour painting by TJ Lubrano! For more information, please follow the link above! 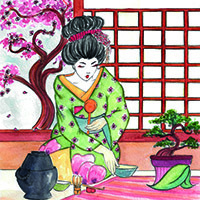 The Japanese tea ceremony is a tradition centred on spirituality and servitude. Preparing and presenting a beautiful matcha (tea) for your guest is the ultimate expression of culture, ceremony and respect. 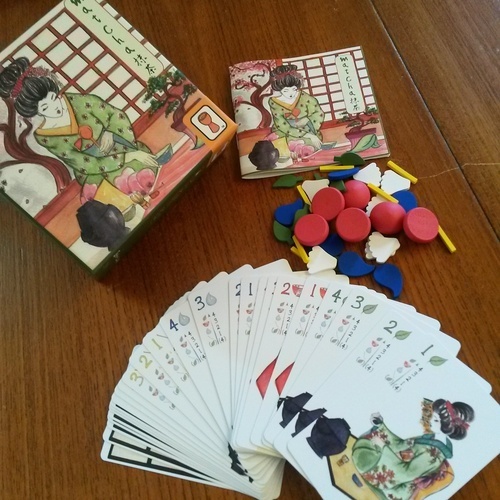 In Matcha, players attempt to collect the utensils (chadogu) they need to perform a tea ceremony by matching tea ceremony (otemae) cards on the table by either their number (1-4) or suit (tea, water, bowl & scoop.) Cards are played secretly, and sometimes it will be to your advantage not to match at all. With just 18 otemae cards and an assortment of chadogu tokens, Matcha provides plenty of strategy for players who must decide when and where to play their cards to the table. Check out http://www.grail-games.com/matcha for more on this great, new game! Next Next post: 101.1 successfully funded on Kickstarter!